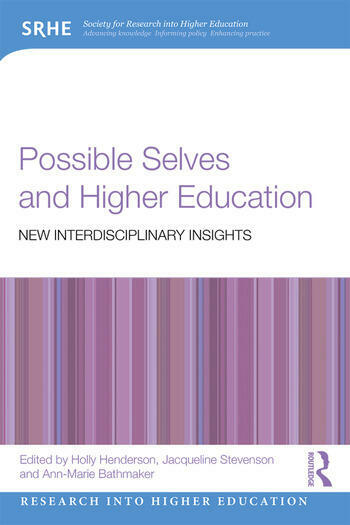 Possible Selves and Higher Education considers both the theoretical and methodological frameworks behind the concept of possible selves; the first section includes chapters that consider different theoretical insights, while the second section offers empirical examples, exploring how the possible selves concept has been used in many diverse higher education research contexts. With each chapter considering a different aspect of the structural barriers to or within education, the examples provided range from the experiences of students and teachers in the language learning classroom, to graduates entering employment for the first time, and refugees seeking to rebuild lives through engagement with education. Offering a broad and diverse examination of how concepts of our future selves can affect and limit educational outcomes, this book furthers the sociological dialogue concerning the relationship between individual agency and structural constraints in higher education research. It is an essential and influential text for both students and academics, as well as anyone responsible for student services such as outreach and widening participation. Holly Henderson is an ESRC-funded doctoral researcher at the School of Education, University of Birmingham, UK. Jacqueline Stevenson is Professor of Education Research and Head of Research at the Sheffield Institute of Education, Sheffield Hallam University, UK. Ann-Marie Bathmaker is Professor of Vocational and Higher Education at the University of Birmingham, UK and Visiting Professor at the Centre for Development Studies, University of the Free State, South Africa.